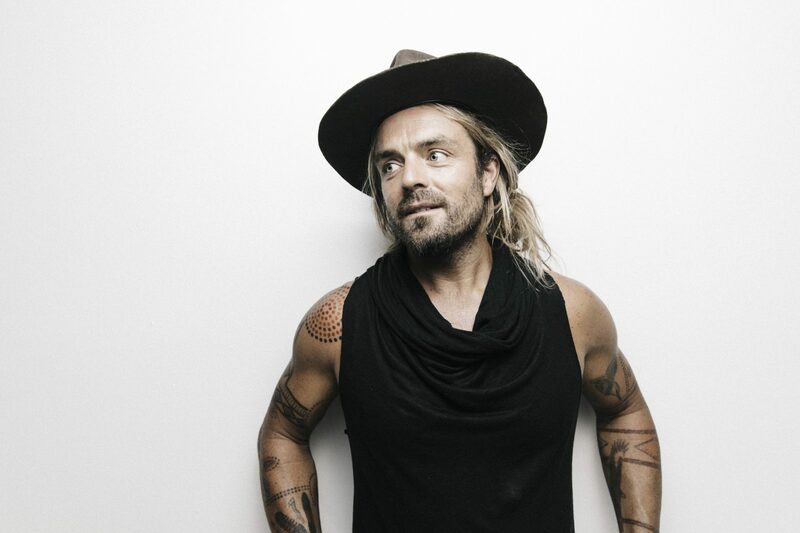 Xavier Rudd Interview – New album Storm Boy is out this Friday 25 May! In the Currumbin Valley at the moment. You’ve just come of a hugely successful sold out Australian tour where you introduced beautiful new songs and a rockin’ new band, how do you feel coming of this tour? I feel awesome. It felt too short! The band was really vibing, so we are excited to get started in the US next week. The band came together pretty organically. Two of the members played on the record, and the drummer, Lisa, was suggested by my last drummer, Bobby. Will the band be a staple for the future? You never know how things flow. I feel so blessed to share the stage with these talented musicians, but the music determines the line up, so we’ll see what happens. It’s always been ever-changing. Do you have a favourite show of the latest Australian tour? If so, which show and why? Sydney was pretty special, but really they all were. It was nice to play those small venues and be so close to everyone. You maintain a consistent worldwide touring schedule, what do you find most challenging and rewarding whilst being on the road so often? Delivering our music in a time of need around the world is special. We celebrate positive vibrations and change for a better world with so many amazing people around the globe, and I feel like it’s not about me so much, it’s about the bigger picture. It’s greater than how I feel. So if the travel or whatever is tiring, I remember this. Your forthcoming album Storm Boy will be dropping on the 25th of May 2018, what influenced the songwriting and sound of this record? Life is my biggest influence. I have an amazing journey and so many great people around me and I’ve been through my struggles too which makes the good times so much sweeter. How do you usually go about writing music and where do you draw your influence from? The music just comes to me. I’ve never sat down to purposely write a song; they just come, and when they do, I catch them. I recorded this album last year in a place called New Brighton in NSW. I built a studio/house on the river there and tracked it at home. What programs / instruments did you use to record? ProTools I think, and Chris (Bond, Producer) used Logic for some. I used lots of instruments – too many to list. I use all handmade guitars and slide guitars, and all my instruments are wooden and handmade. Did you collaborate with anyone? If so, who? Chris Bond produced the album; he was great to work with! Plus all the players on the record were incredible: Terepai Richmond, Yoseph Haile, Ian Perez and Danielle Bennett. How did you first start playing the didgeridoo and guitar and music in general? I taught myself and have always played since I was a little kid. Whenever there was something around to play, I’d have a go. Where was your first gig and how did it come about? Sorry I can’t remember – too many, haha! What do you attribute to your huge success? I’m not sure… my music has always been very real and raw, maybe people dig that? Walk Away was inspired by the concept of being able to walk away from something that is not serving you in life and holding your own as you walk forward. You’ll be touring Australia this coming August 2018, what can we expect from this tour? New venues / locations / sounds? All of the above. We’ll be playing lots of stuff from Storm Boy, but also a bunch of older stuff. I’m bringing my old didge/percussion rig too. What do you have planned for the rest of 2018/ 2019 after your August Australian tour? We will be touring the States and Canada before Australia, and then straight to Europe and the UK via South Africa, so there’s a lot happening on the touring front. Midnite and Kardajala Kirridarra from Alice Springs, among others. I’m vegan, don’t have favourites, and love hanging in the water if the surf is on. GABRIELLA COHEN shares new video for ‘Music Machine’ + album out next week!